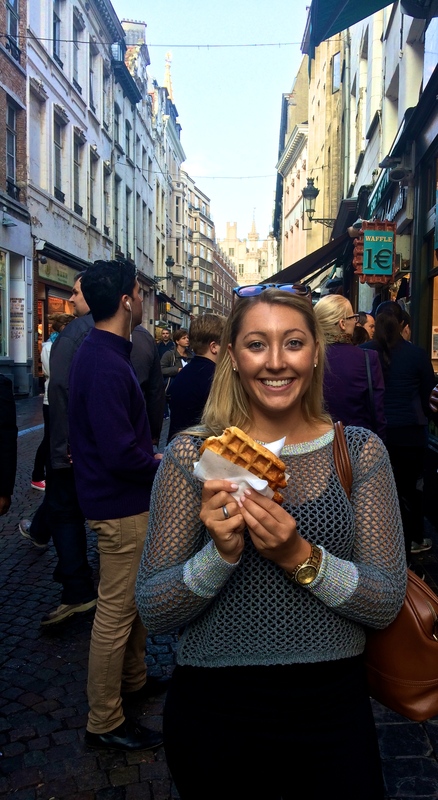 Brussels, Bruges, and Ghent, Belgium. I’ve fallen in love with yet another country. Or maybe I’m just a believer in the uniqueness that each beholds. 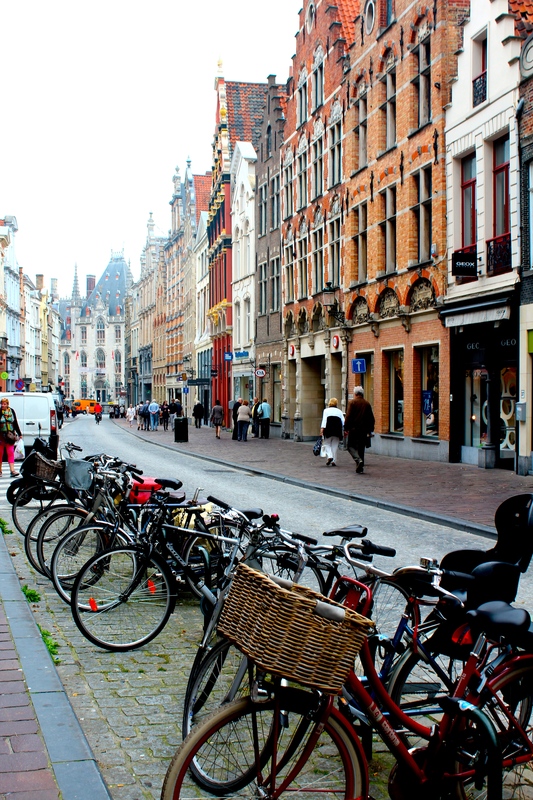 It’s been said Belgium is the most boring country in Europe and I can’t say I share the same opinion. People in the streets, others enjoying their cuisines as they watch locals and foreigners alike, pass by. Every bar is full, full of beer and full of smiles. 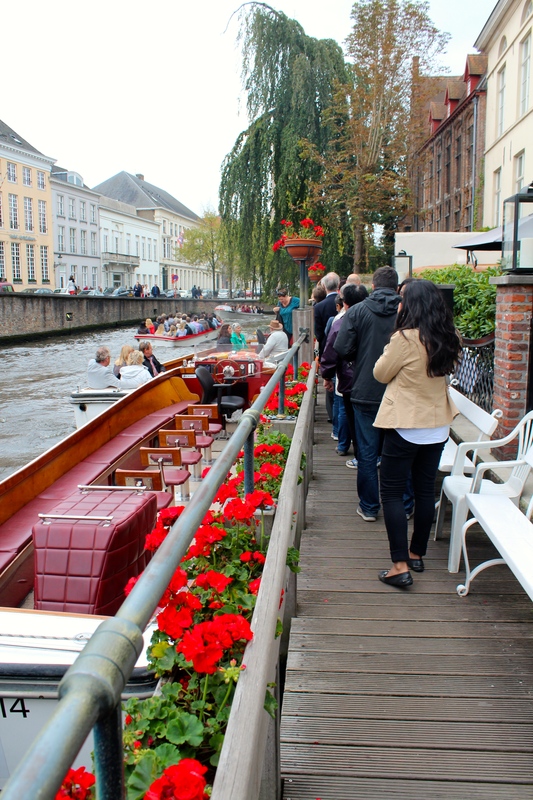 With enough chocolate and beer to keep a soul happy for years, I can’t see why anyone wouldn’t want to visit this beautiful little country tucked between France, Germany, and the Netherlands. 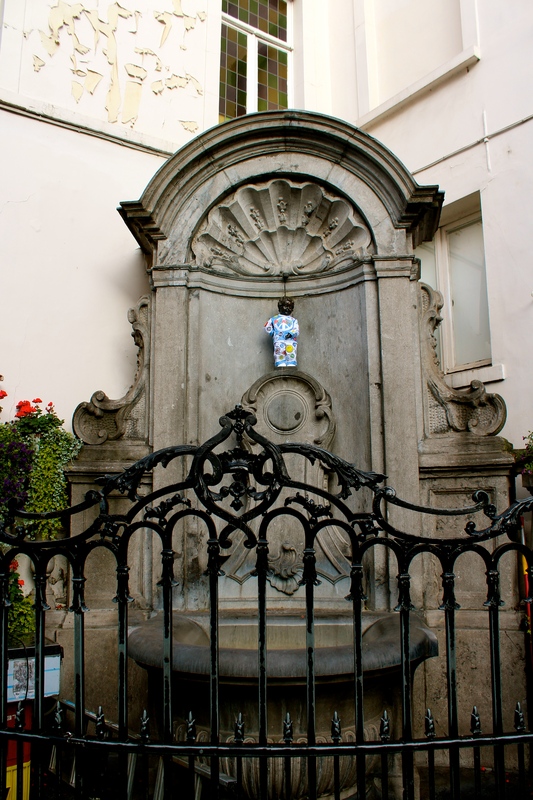 I arrived to Brussels in late September by sheer luck. I had a week between the end of my month-long Spanish home-stay and language course, and my first day of teaching. An old college friend had e-mailed me a while back letting me know she would be visiting Europe from Hawaii and would be traveling to various countries. 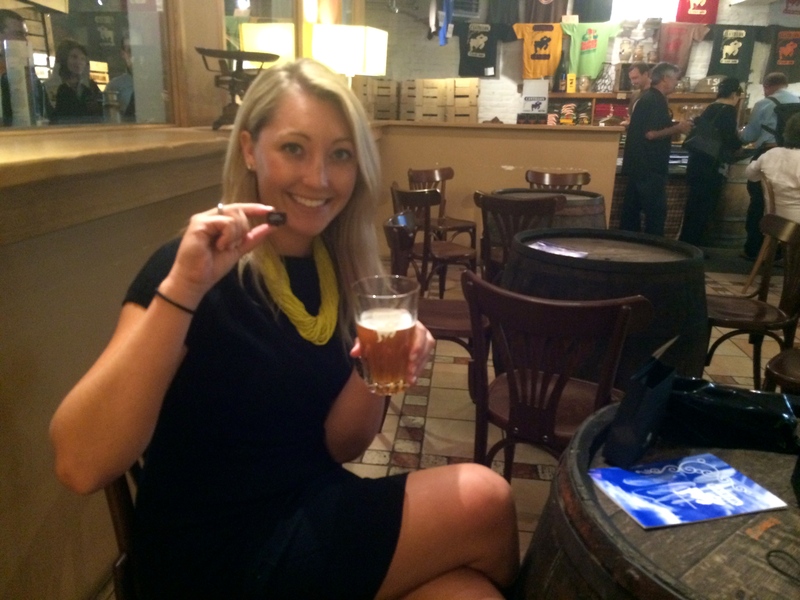 Two weeks before she arrived, I wrote her and asked if I could tag along since I had never been to Belgium – decision well made! 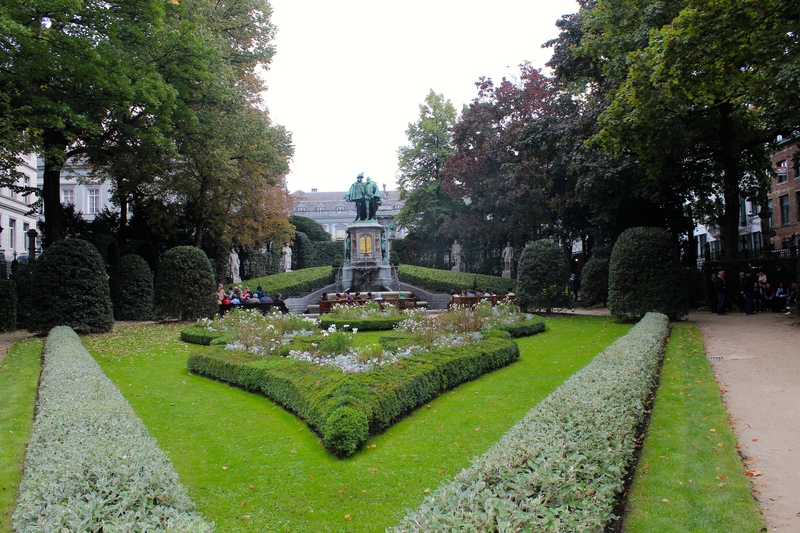 The Maison du Roi (King’s House), or Broodhuis (Breadhouse). 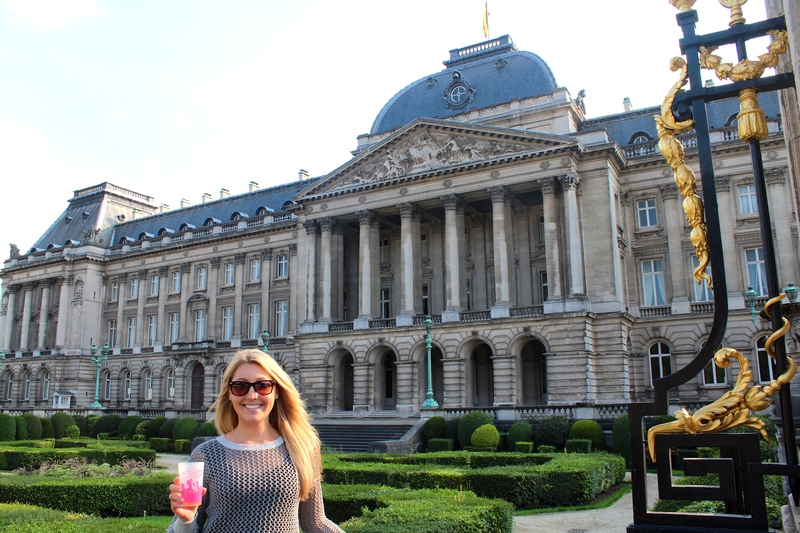 I rode into Brussels-Centrale train station from the airport and met with my friend Sarah and her cousin Ashton. Ashton has lived in Brussels for 3 years and was kind enough to let us stay with him and guide us around the city over the weekend. 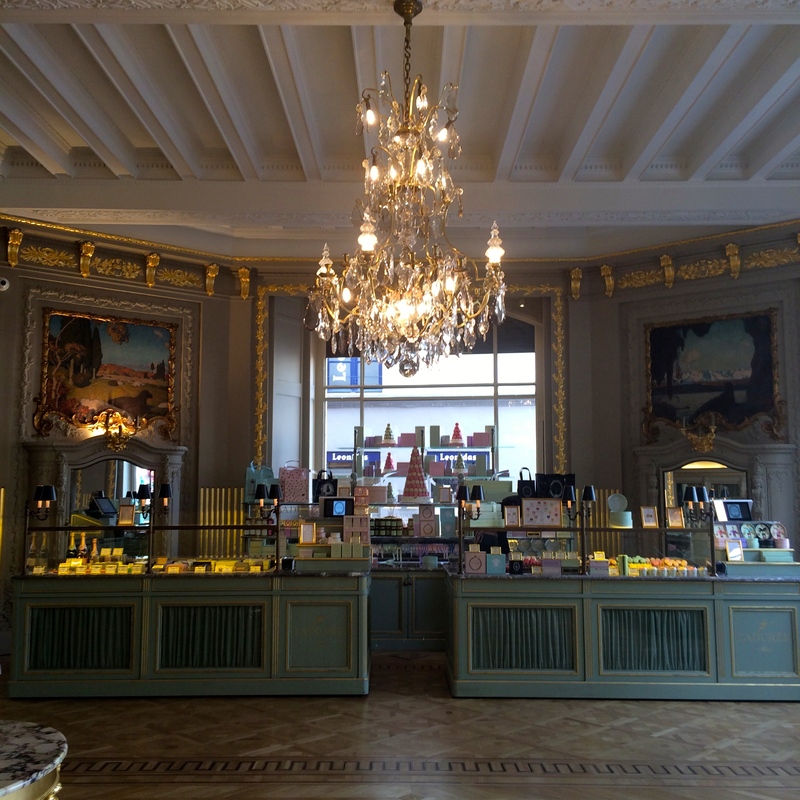 We immediately made our way through the crowds, sashayed ourselves along the beautiful windows filled with delicacies in the Royal Galleries of Saint-Hubert, where I discovered a black and white cinema (a must do on my next visit! 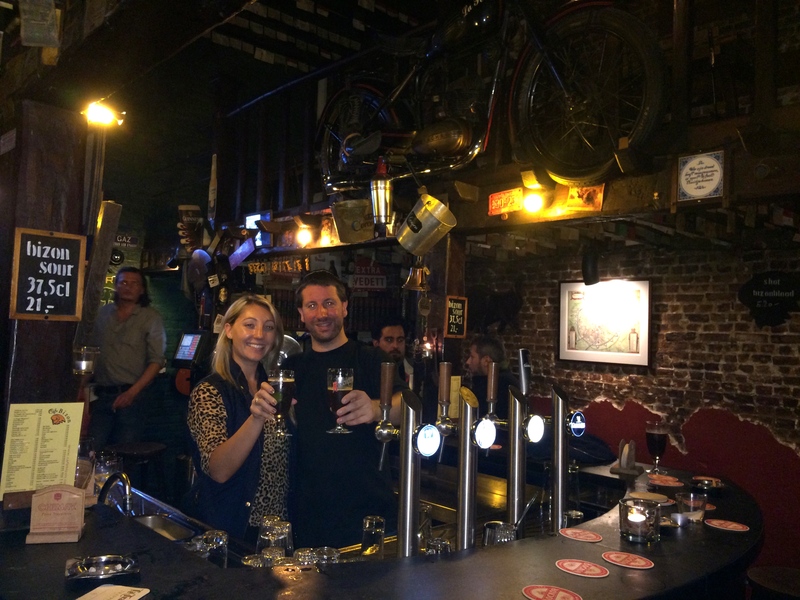 ), and found ourselves in a deceptively big and cozy bar with our first, of many to come, Belgian beers in front of us. A Rochefort 10 Trappist beer and a Kriek Boon cherry beer, both of which I later bought bottles of and brought home to Madrid with me. 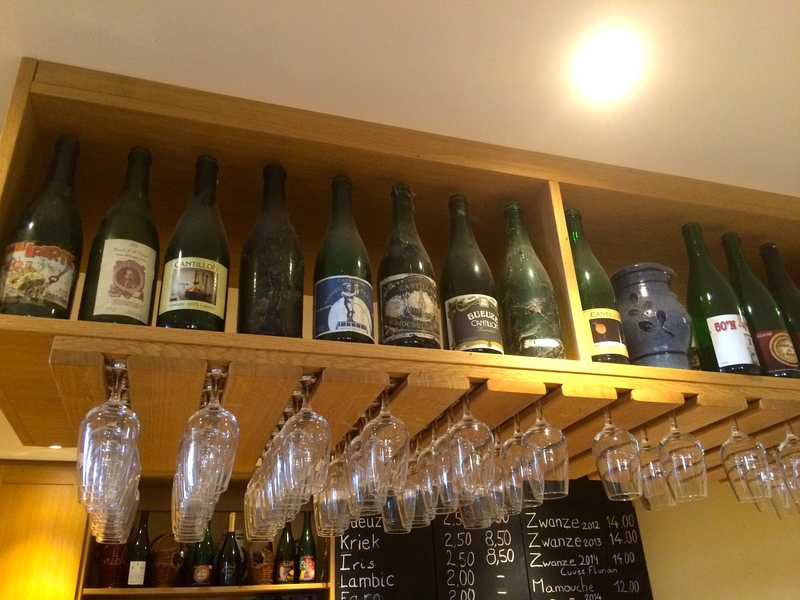 Belgium is famous for its Trappist beers, housing 6 of only 10 Trappist breweries in the world. 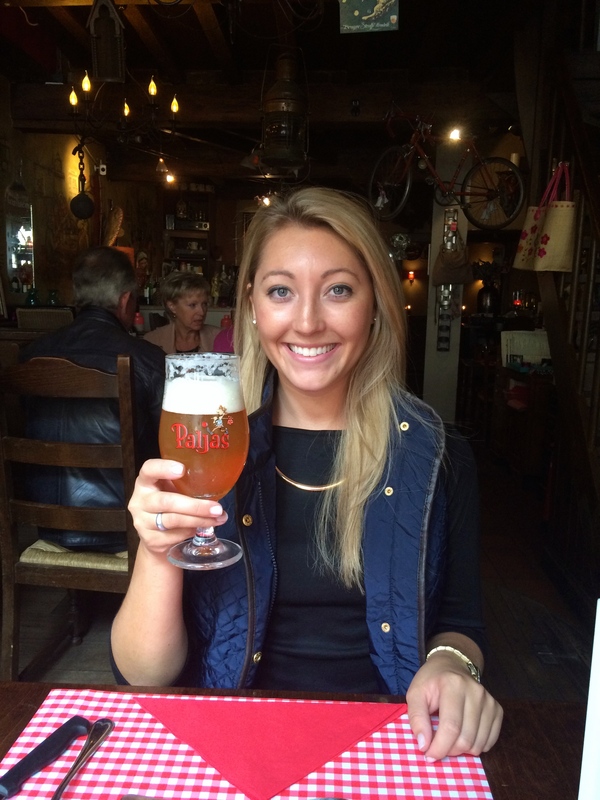 Trappist means the beer is brewed in a monastery following traditional methods and today held to strict guidelines. 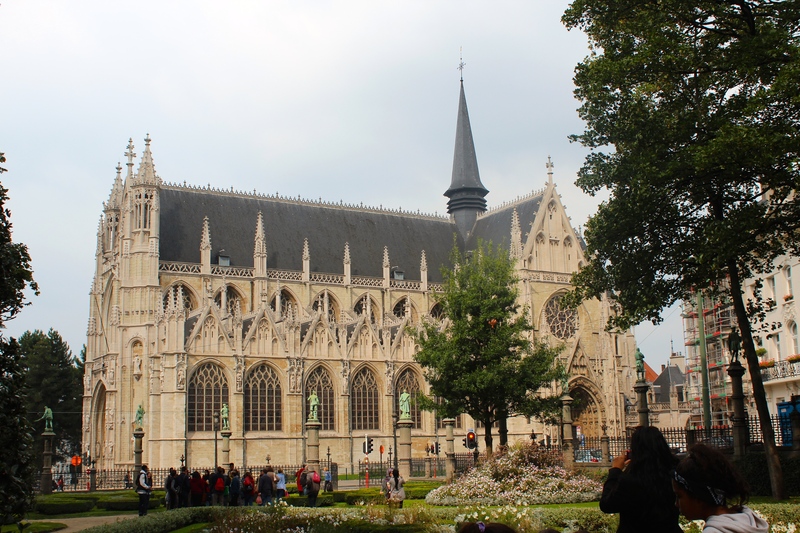 The six breweries located in Belgium are Orval, Chimay, Westvleteren, Rochefort, Westmalle, and Achel, and I was lucky enough to try beer from 5 of them, although not in the monasteries themselves. 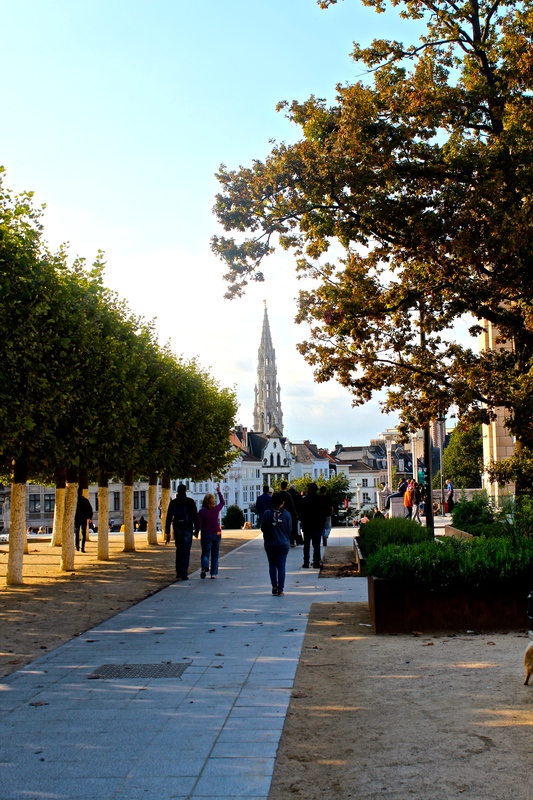 Sunday turned out to be the most perfect day for exploring what Brussels has to offer as it was car-free day in the city! What a lucky stumble-upon. Imagine San Francisco, Seattle, or Boston without cars for a day. It was sunny, bikes and people were everywhere, and we happened upon a fair in front of the Parliament building. 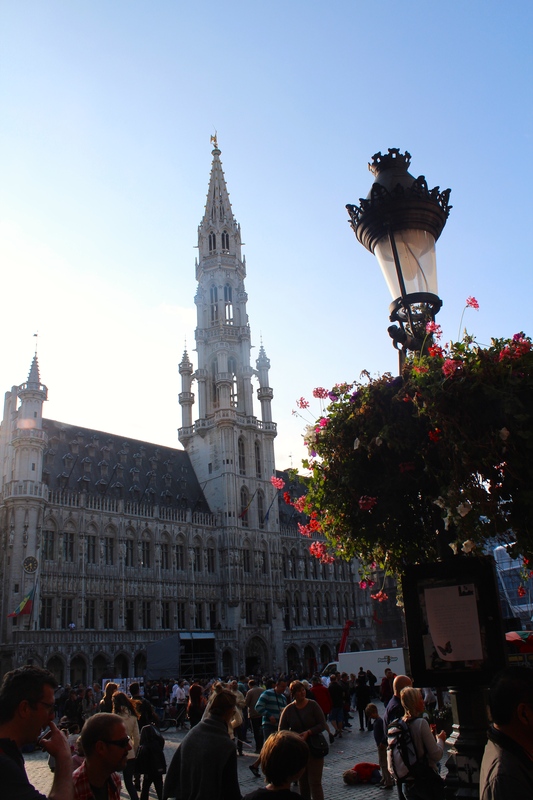 We visited the BELvue Musuem (excellent chronological history of Belgium), the Coudenberg (former Palace, now underground), walked through the Grand Place, and enjoyed our first Belgian waffle at the original shop. 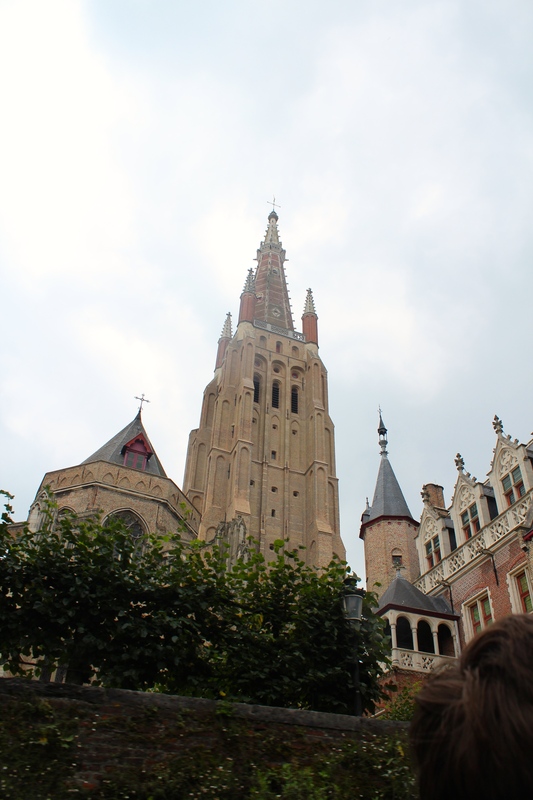 On Monday, Sarah and I decided to get our tourist on and walk the sites of Belgium, a.k.a. 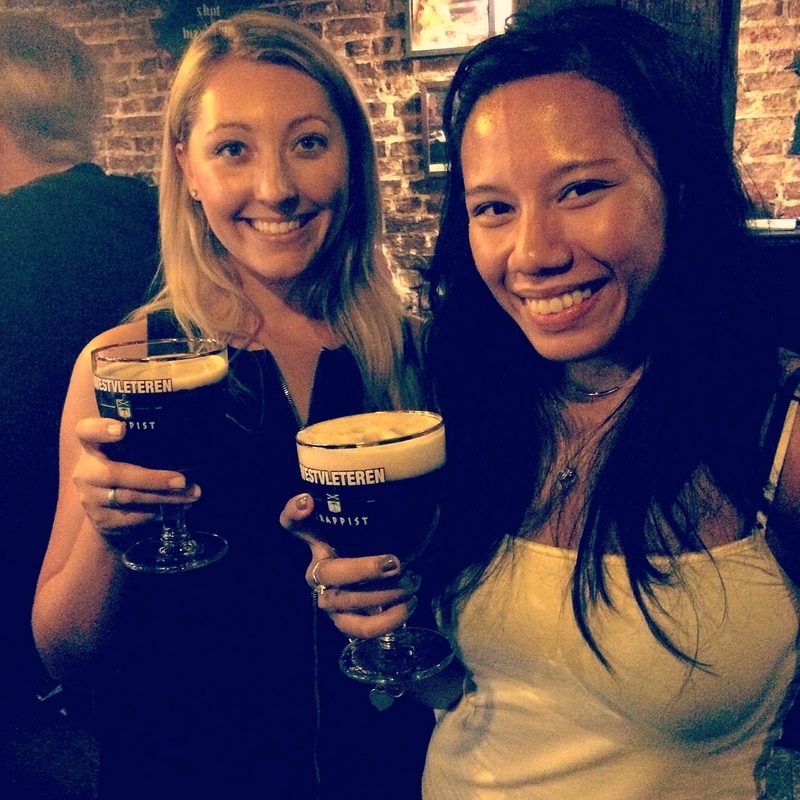 eat and drink our way through the city. It was awesome. And because we had no set plan it was pleasant to wander and come across whatever decided to present itself. I love chandeliers. And macaroons. Lambic beer and Pierre Marcolini chocolate. 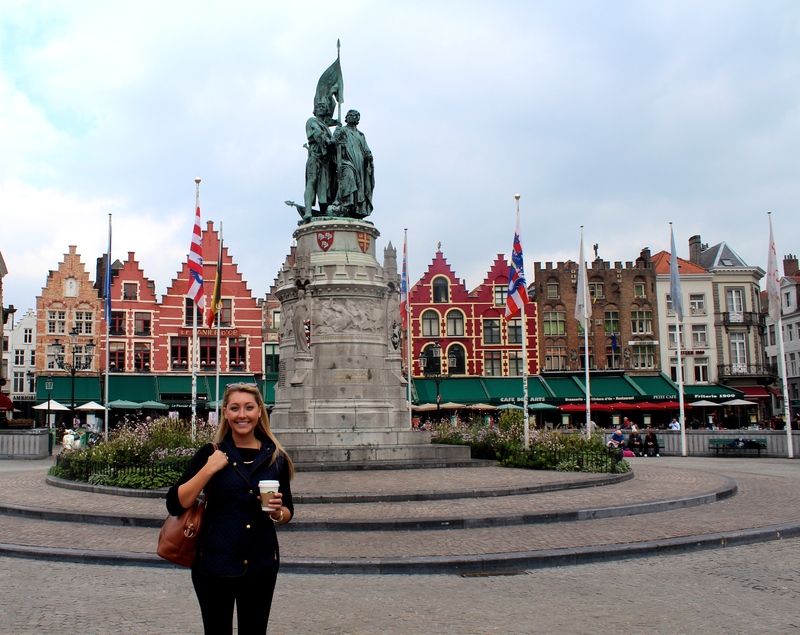 RISE and SHINE for Bruges and Ghent! 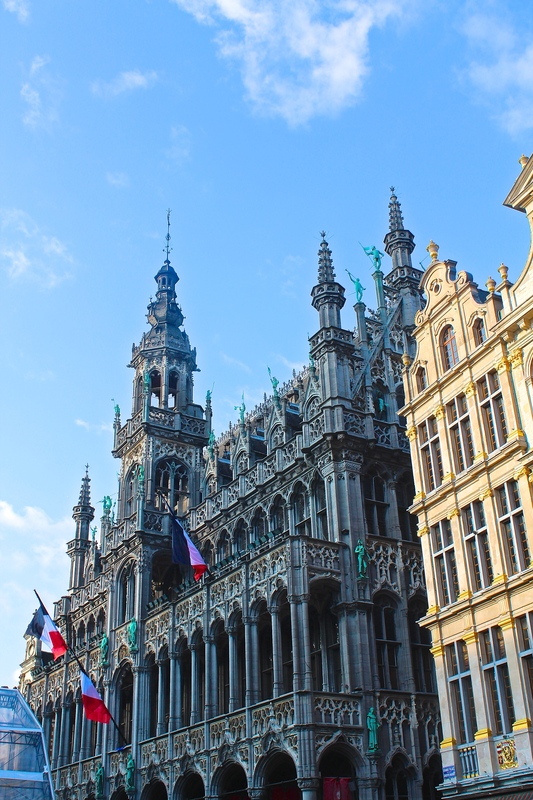 Not far from Brussels at all, because remember Belgium is a small country, we took a day trip to these two cities we had heard so much about. Upon boarding our train we decided to go to the furthest city first and work our way back towards Brussels. 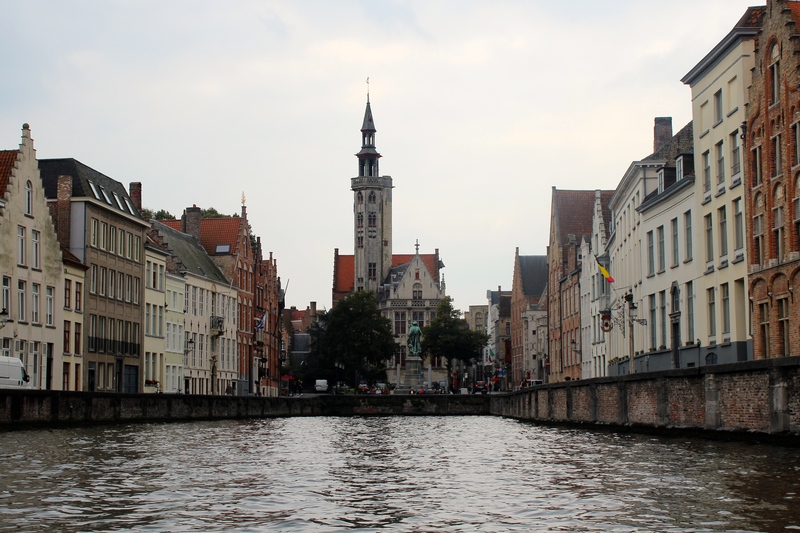 Bruges is a mere, relaxing, hour long train ride from Brussles and a must see. It is a dream town. 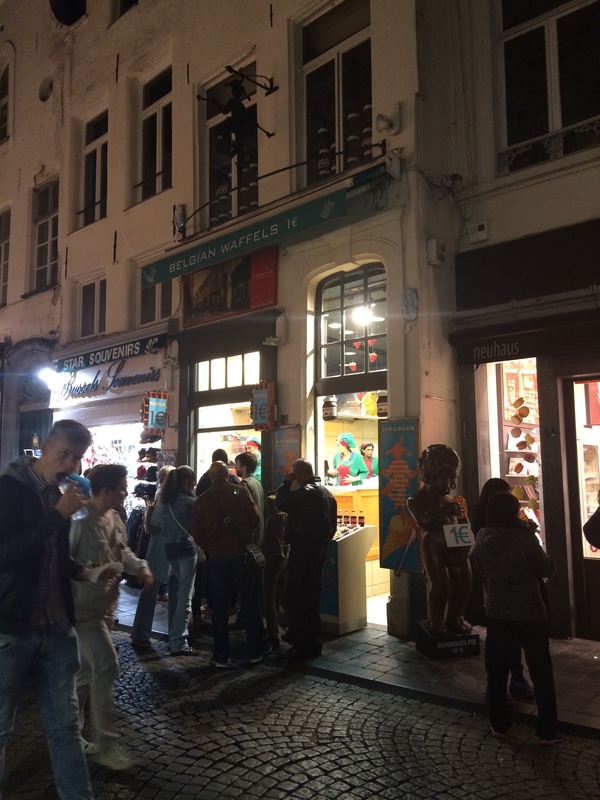 It’s tiny, and picturesque, and has small delicious eateries hidden down unsuspecting alleyways. 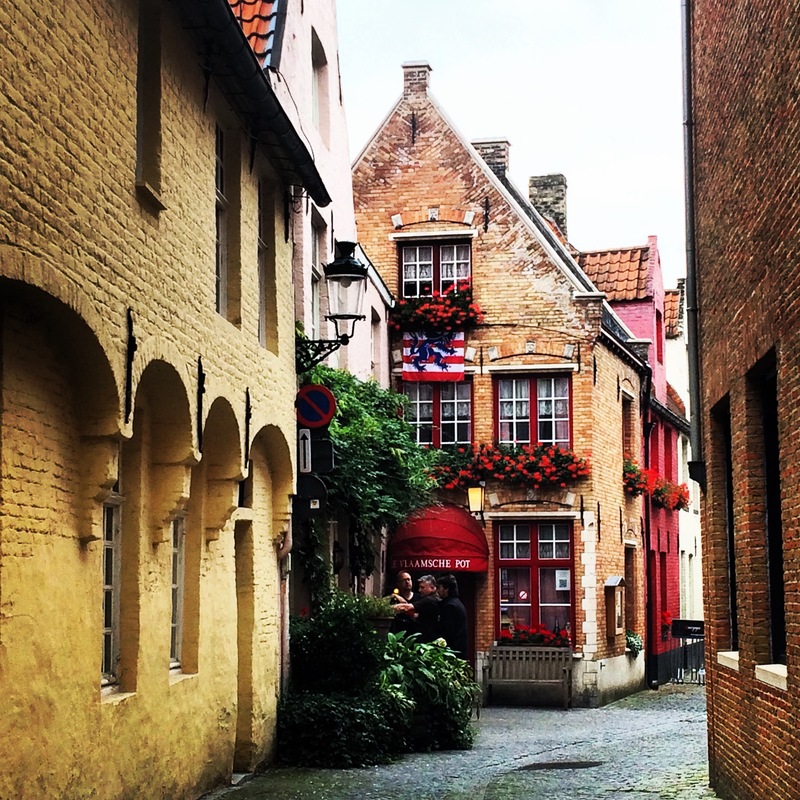 In Bruges is where I had my favorite meal and favorite chocolate, I purchased a lace apron, and I joyously walked the streets perusing faces and shopfronts. We enjoyed an absolute delicious lunch of mussels in white wine garlic sauce with pomme frites and garlic bread at The Habit. I had originally intended to eat at the place next door to it, but sadly it was closed. 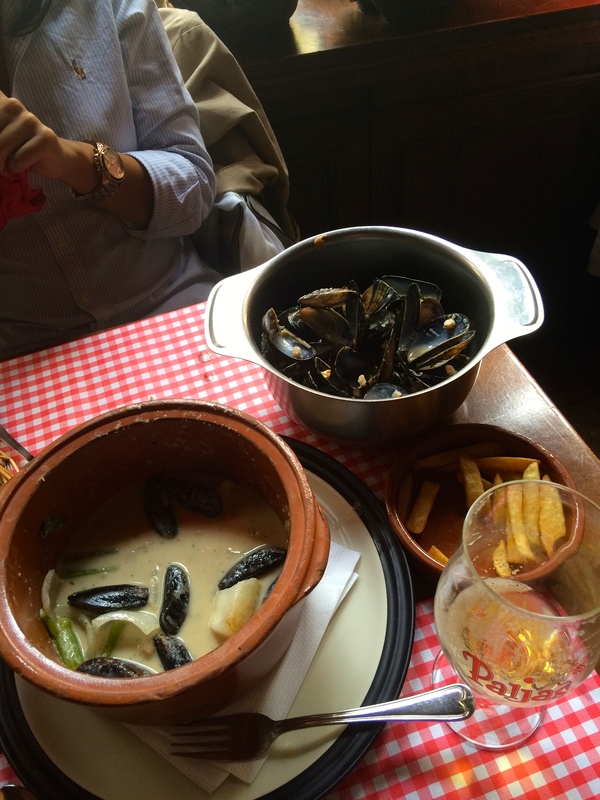 When I tasted that first mussel, however, I was grateful the stars had aligned and we had ended up there instead. Enjoying a delicious, local, Paljas beer at The Habit. 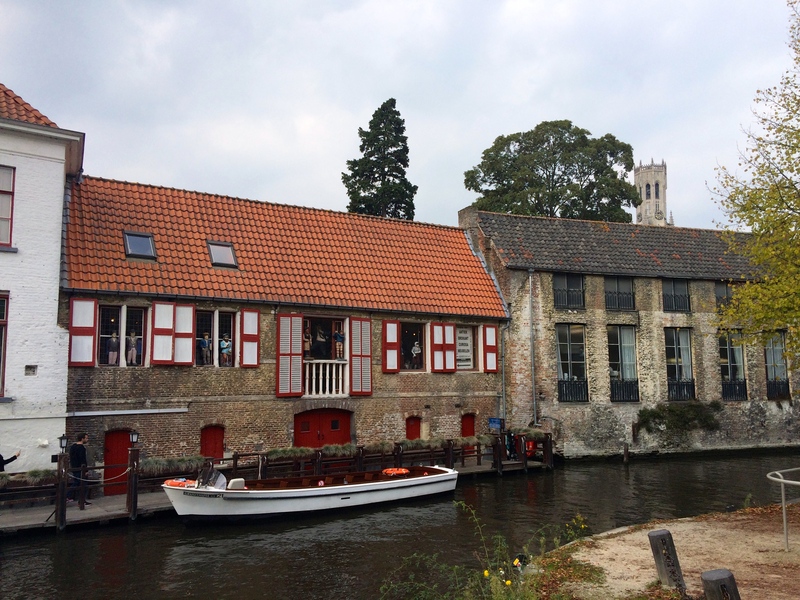 After our scrumptious lunch we were off to our canal tour – the best way to see Bruges and it’s history. Along the canal tour we discovered a Beer Museum. Of course, we had to visit. 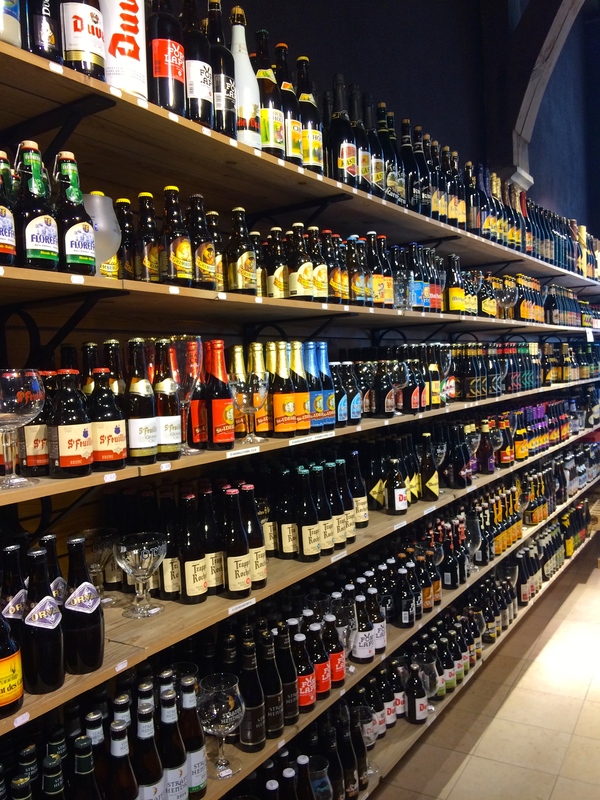 But first, we needed to stop by the Bottle Shop to stock up on our favorite Belgian beers! With chocolate and beer in tow, we arrived at the museum. As we did not have time for the tour, we enjoyed an in-house beer in the garden with other visitors. I also bought this beer to bring back to Madrid. The most important finding was on our walk to the Beer Museum, however. Sarah spotted a chocolate shop named Mary she thought she had read about, so we decided to take a peak. It was expensive, but not outrageous. 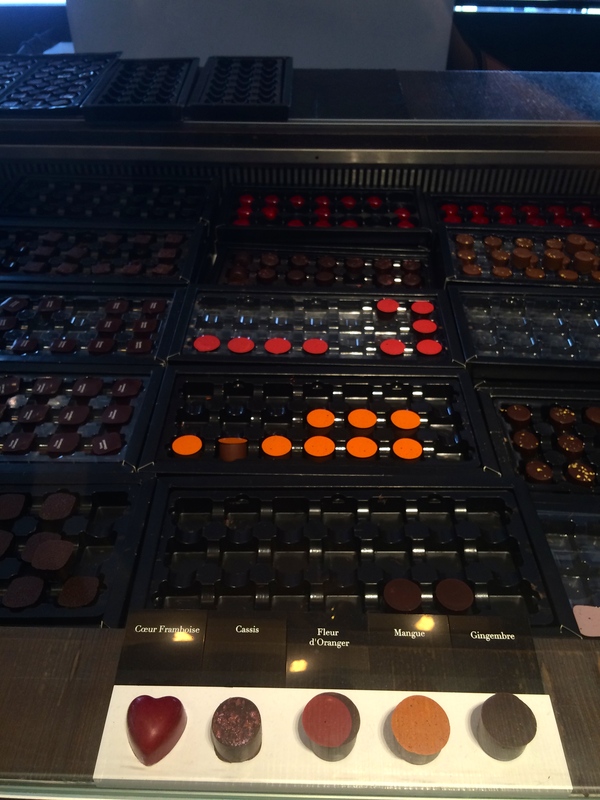 I took one of the ‘Mary’s’ and another of their darker chocolates. THIS was my favorite chocolate in Belgium. 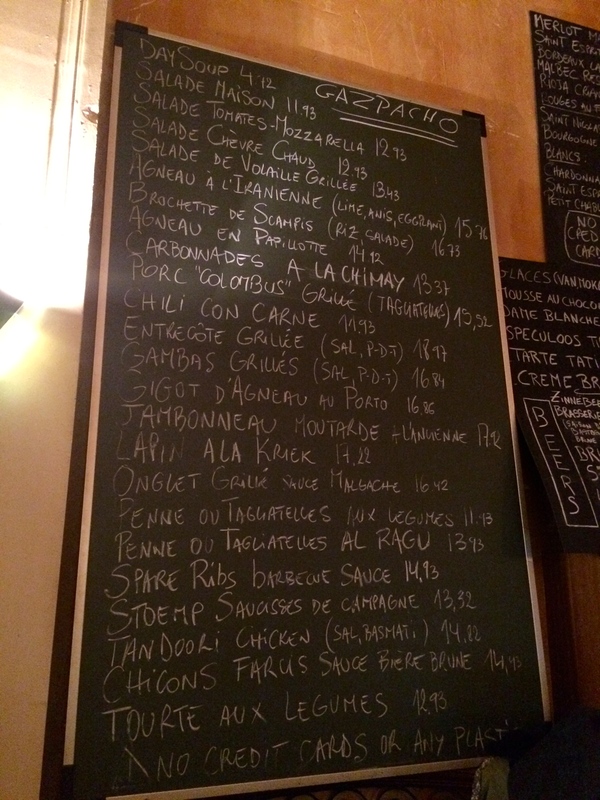 Apparently it can be found in Brussels, but I was not so lucky. 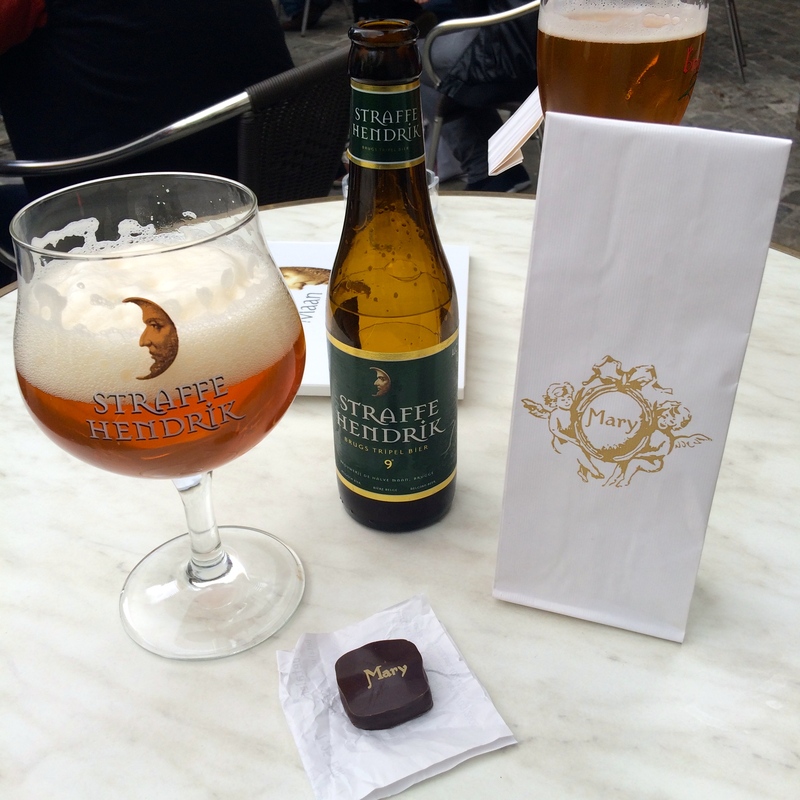 Try this chocolate while you are in Bruges. Not wanting to leave Bruges, we boarded the 4pm train towards Ghent. We arrived 30 minutes later to a bustling station full of people on the inside and the outside. 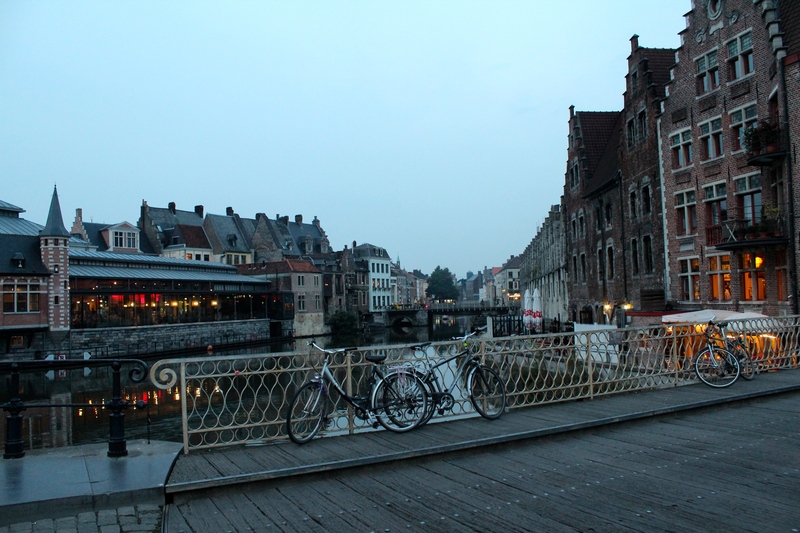 Ghent was nice, but not nearly as lovely as Bruges. 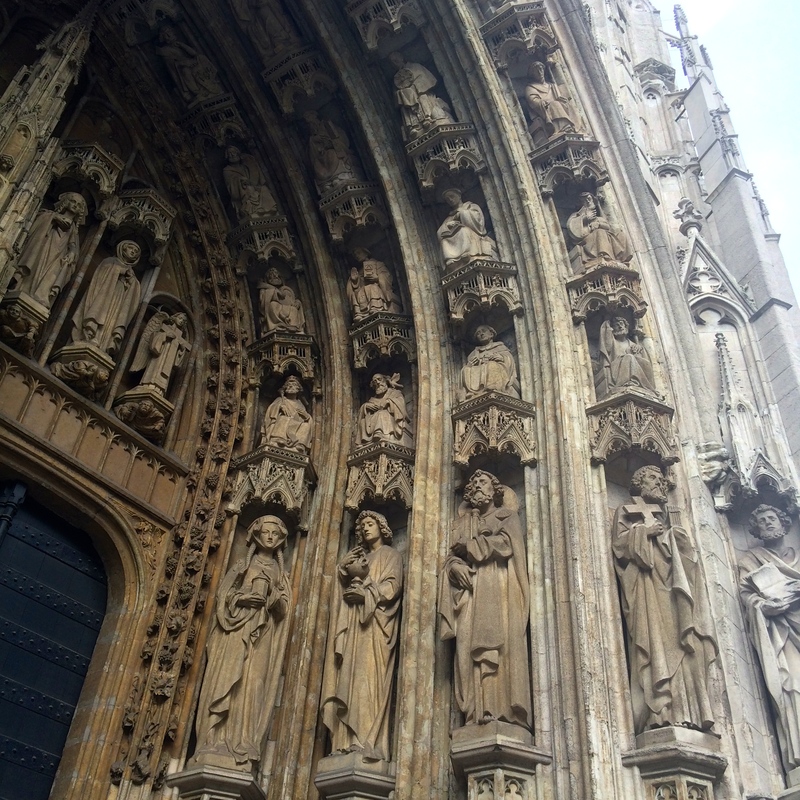 Perhaps we didn’t allow ourselves as much time to explore but we were decidedly underwhelmed with what we saw and were glad that we had spent the majority of our day in Bruges. 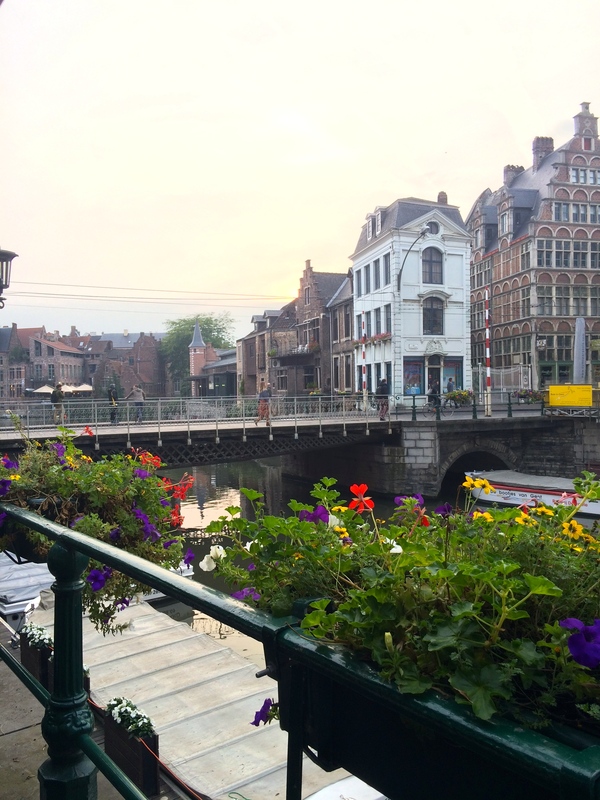 After a 30 minute walk from the train station we finally found ourselves along the canal with restaurants and bars. We settled in for some good conversation and a drink. As the sun was setting we walked until we found a restaurant that would suffice for dinner. 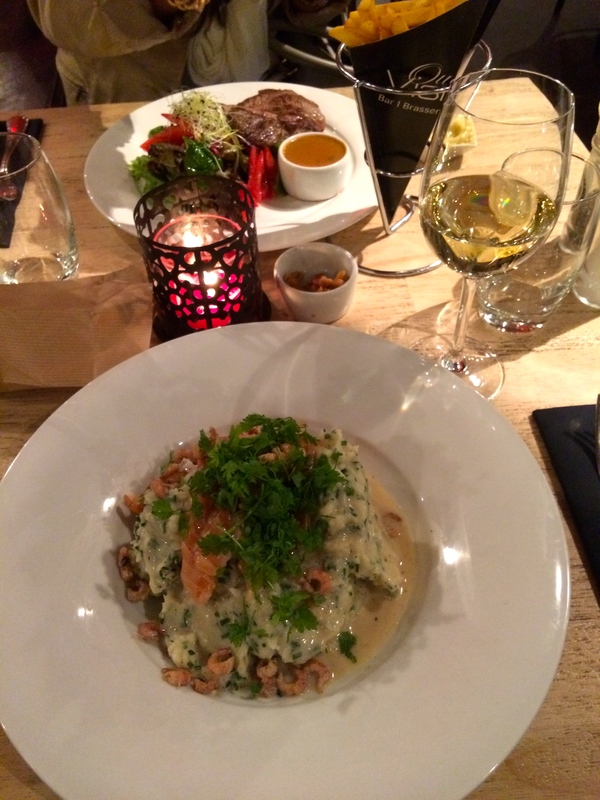 Although we were disappointed in the lack of ‘authentic’ Belgian food and the high prices we found along the canal we did have an enjoyable dinner and I tried stoemp (essentially mashed potatoes) with shrimp which was quite delicious. 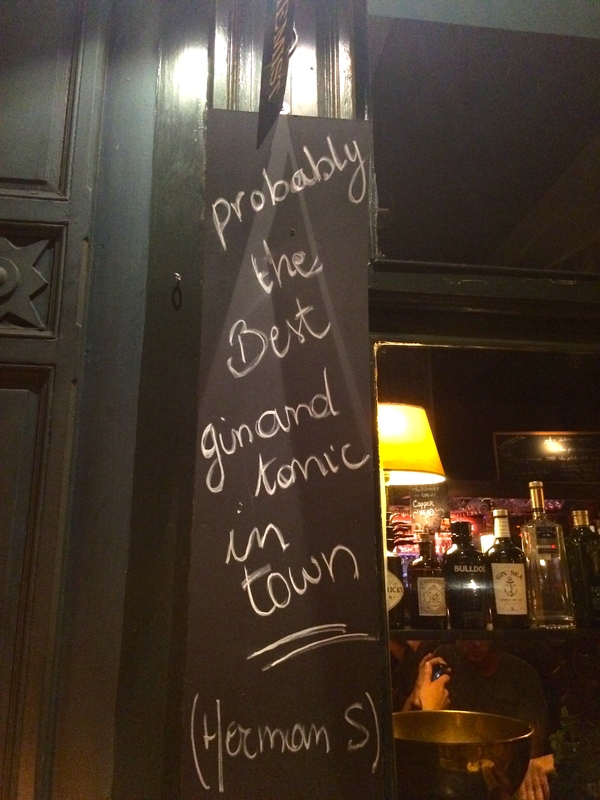 We stopped for an after dinner cocktail at a Gin & Tonic bar and then made our way out of Ghent around 11pm. It was nice to see but ultimately not much time was needed here. Wednesday morning we caught a 7am bus just across the border to Cologne, Germany for 3 days (another blog post). 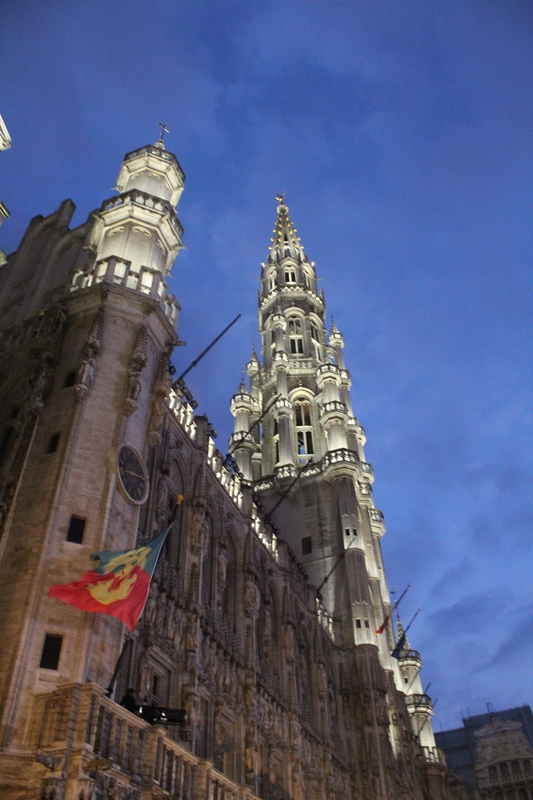 I returned to Brussels on Saturday for a night on the town alone before flying to Madrid Sunday morning. 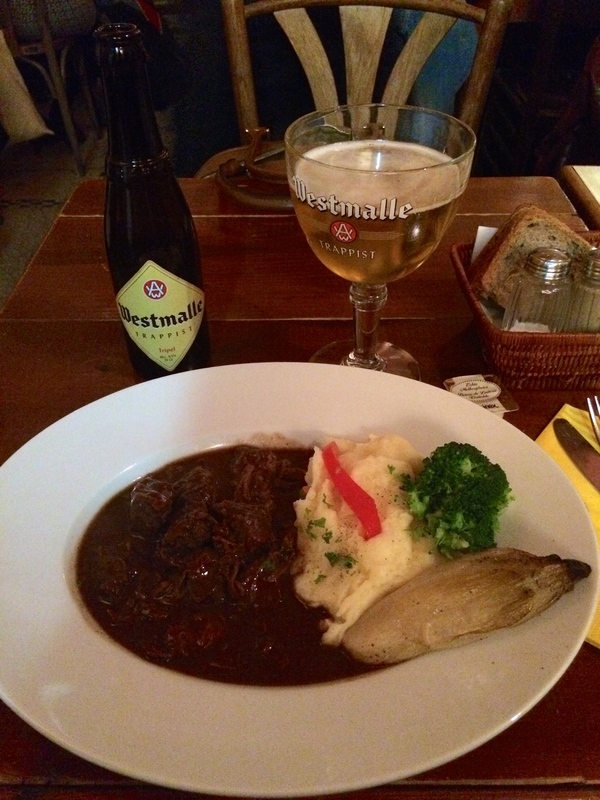 I returned to a few of my favorite spots – the Grand Place, original waffle shop off the plaza, dinner Le Fin de Siècle, and a local bar for a few more Orvals. 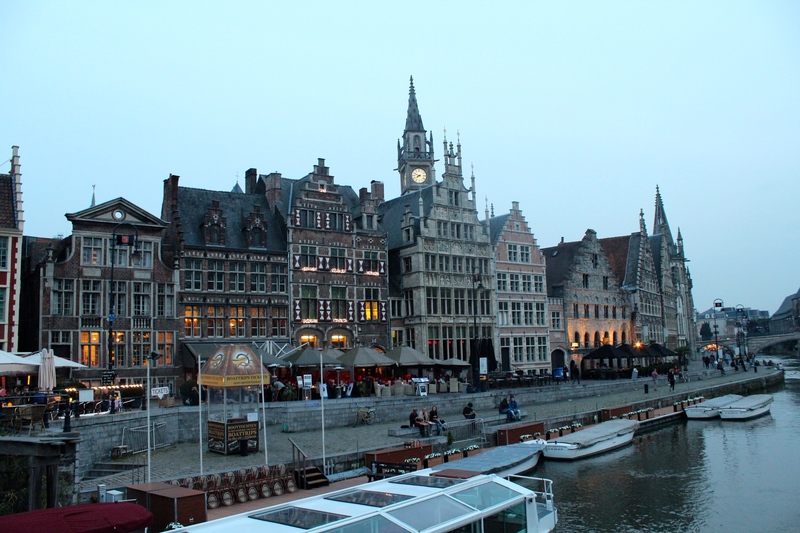 I hope to be lucky enough to visit Belgium again one day in the future. Until then, I will scour the markets for my favorite Trappist beers! I did! I had a great traveling partner so we are on the go the whole time but it still felt like we were moving slowly enough to enjoy everything. The WAFFLES, I can’t even! They’re sooo good!